It is an irony of our human condition, writes David Horowitz, that the efforts by progressive radicals to make the world “a better place” have also been the chief source of human suffering from the beginning of time. 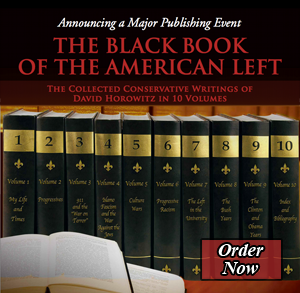 Bestselling author David Horowitz, once a radical himself, has now written Radicals: Portraits of a Destructive Passion—his ultimate reflection on radicalism and its inevitably tragic consequences, focusing his analysis not on abstract ideology but on the people who have embraced it. The witty and brilliant, if self-destructive Christopher Hitchens, a friend who had second thoughts but couldn’t break with his radical faith. Bettina Aptheker, whose troubled life illustrates the totalitarian dimensions of radical feminism. Cornel West, a celebrity academic whose preposterous success is a reflection on the moral and intellectual bankruptcy of the liberal culture. Saul Alinsky, the radical mentor of the most successful leftist politicians of our time, from Hillary Clinton to Barack Obama. Incisive in its critique, and alternatively moving and devastating in its portraits of leading radicals, Horowitz’s book lays bare the roots of radicalism, how it is abetted by liberalism, and how liberals have utterly failed to learn from its repeated personal and political disasters.